Everything about Danielle and Ryan's Buffalo wedding felt grand and beautiful- just as it was supposed to! 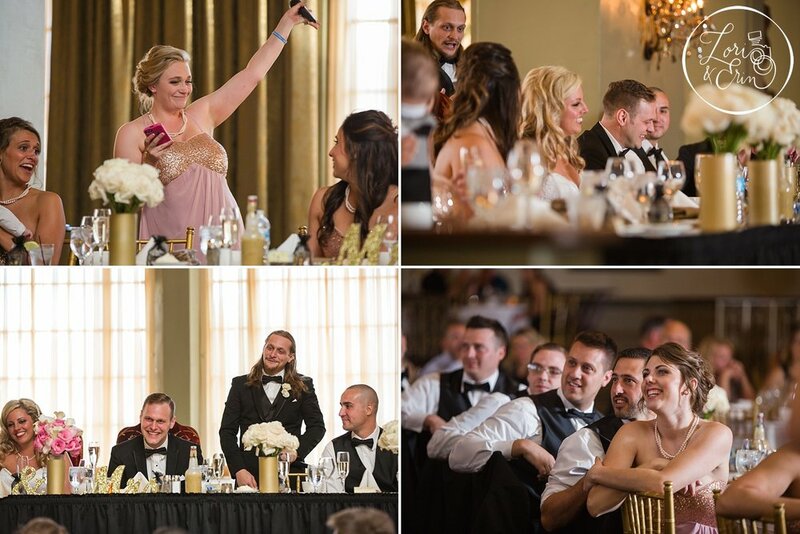 From the beautiful church ceremony to the classic, ballroom setting at Statler City. I loved the way he looked at her as she came down the aisle, arm in arm with her Dad. And I loved how she beamed back at him as well. All day long, they laughed, kissed and loved with all that they have. There was a gorgeous, romantic 1920's feeling about the day, and Ryan and Danielle were at the center of that beautiful romance. It was truly a day to remember always. Danielle and Ryan, yours is a beautiful love, unlike any other. Congratulations!